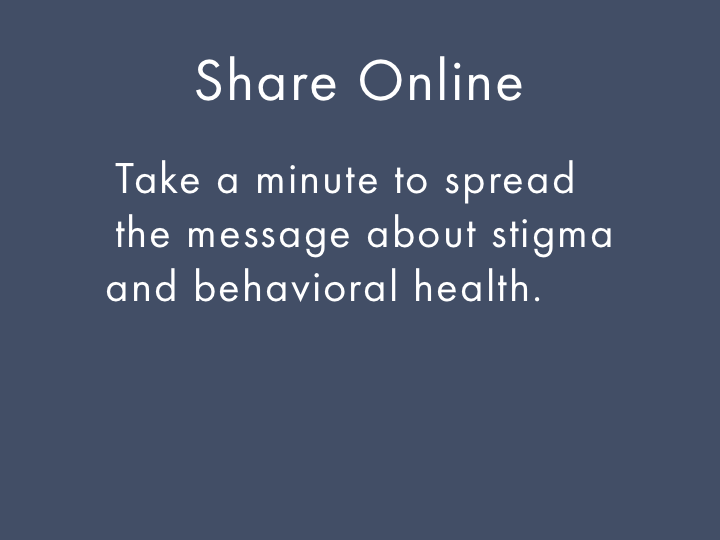 How can I help fight stigma? Challenging stigma starts with challenging our own perceptions. Stigmatizing attitudes and beliefs stem from false assumptions that we may not even realize that we hold. Refocus and look again. 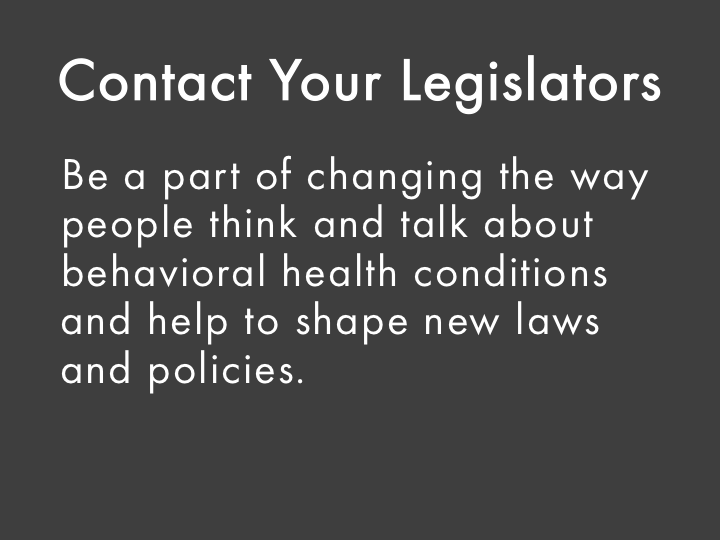 Learn and share the facts about behavioral health disorders. Attend or host an anti-stigma workshop. Request and share our materials. Challenge your own assumptions and stereotypes. If you know someone has a behavioral health disorder, does it cloud your perception of them? A change in your perspective can have a ripple effect on others. Be an agent of change. Speak up when you see stigma happening, ask a question, start a conversation. Meet Bert. Bert lives with OCD, a behavioral health condition. He also lives with the stigma that comes with it. This 90 second video shows how stigma impacts him and millions of others like him. This 40-minute educational video is designed to prompt meaningful conversation among all those who have been affected by behavioral health issues. In the DVD, persons with lived experience, family members, providers, and administrators share their candid perspectives on the impact of stigma both personally and professionally. From 3- hour intensive, experiential workshops to 1-hour lunch and learn programs (coming soon! ), our workshops start conversations, challenge perceptions, and spark insights. "[It was a] judgment-free zone"
Contact us through the form below to host or attend a workshop! Thank you for your interest! We will follow-up with you soon.